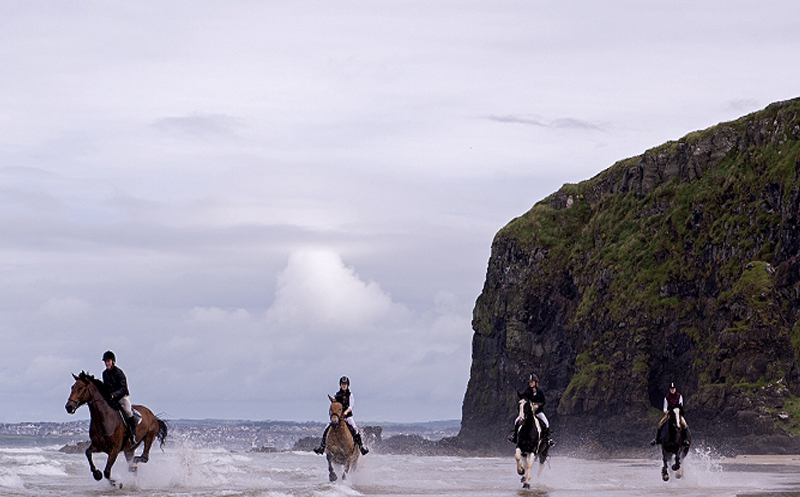 Discover more of Northern Ireland and beyond with our suggested list of upmarket activities. With 7,199 golf holes, it goes without saying–Ireland is a golfer’s paradise! For your Premier Golfing Experience, we can make sure that you play the world-famous Royal County Down or Royal Portrush, home of the 2019 British open. We will introduce you to the hidden gems among Northern Ireland’s near 100 courses. Many of the immaculately tended greens are located along the breath taking coast-line, offering amazing views as well as world-class facilities. It is all about connections here on the ground and Premier Experiences NI are best placed to organise local guides who intimately know the course and may even play you through to the 19th hole! 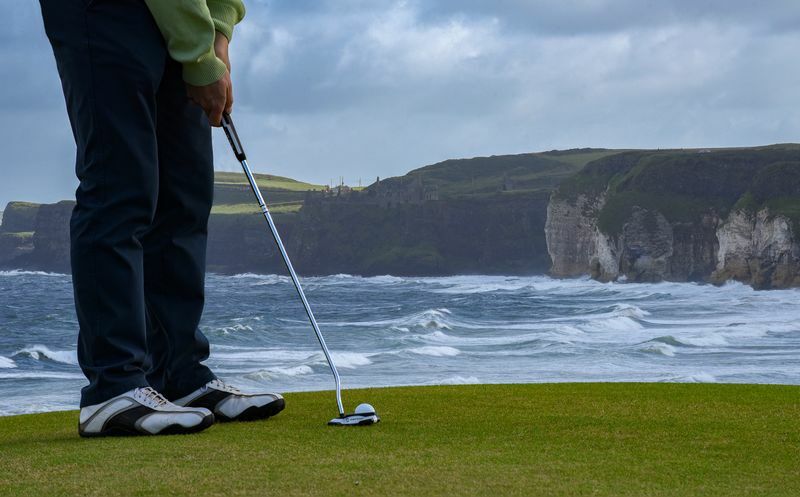 We offer fully serviced golfing holidays across all of Ireland for all levels of golfers, creating additional itineraries for the golfers and also for their non golfing partners. Let us know your requirements and leave the rest to us. 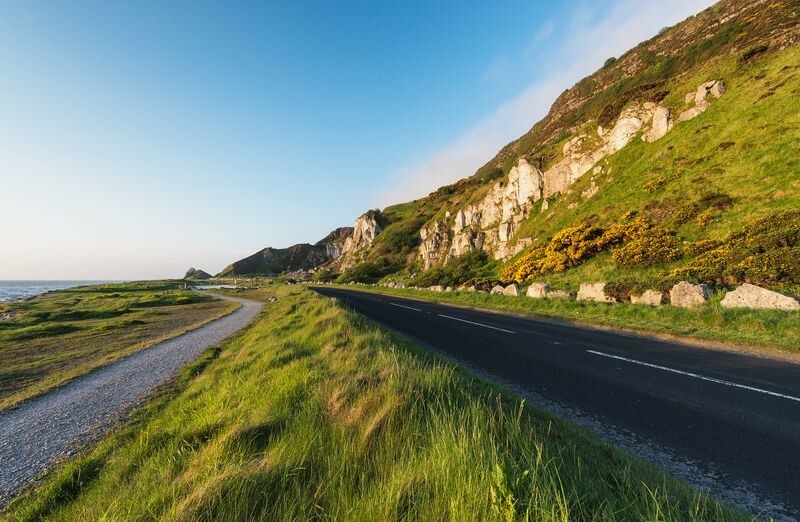 The Causeway Coast’s awe inspiring, precipitous, cliff faces, and serene beaches, contrasted with the epic backdrop of the tumultuous Irish Sea, makes for one of the finest coastal riding experiences in the world. Bespoke Equestrian Irelands’ range of quality horses and attention to detail offers a distinctive mix of locations and trail styles which allows you to visit places accessible only by horseback, guided by native storytellers –there is nothing comparable anywhere in Ireland. BEI provide culturally unique, once-in-a lifetime rides and can take charge of everything for you from the moment of landing in Ireland to the moment you leave with top quality hospitality and professionalism. 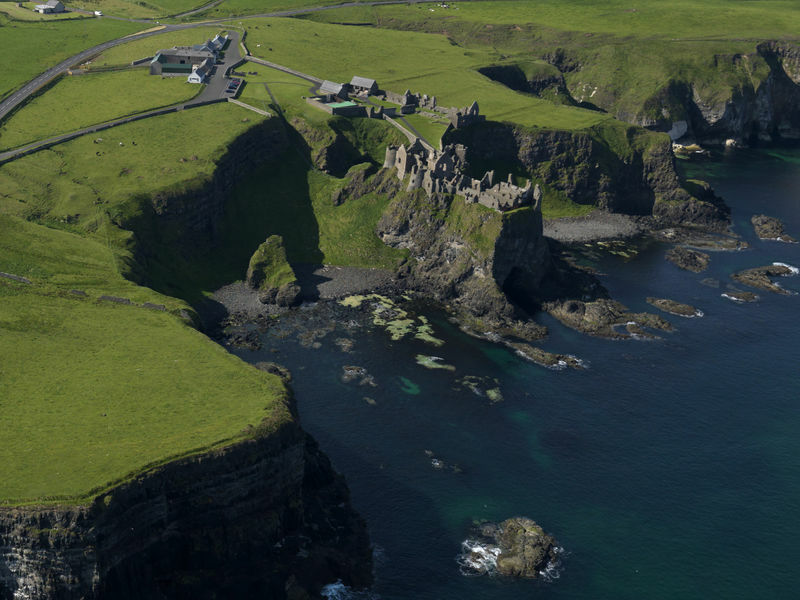 Experience the stunning north coast from the air! Enjoy the thrill of a helicopter flight while taking in iconic sights along the coast, such as Mussenden Temple, Dunluce Castle, The Giant’s Causeway, Ballintoy’s Carrick-a-Rede Rope Bridge and all the hidden gems in between. The unique perspective gained only from these heights does the seemingly impossible and enhances the beauty of these already world class sights to a whole new level. It goes without saying your photos will be epic! The Irish and Scotts share a lot of things including a passionate love for whiskey known locally as the water of life. The western Scottish isle of Islay is located 24miles off the Northern Irish coastline and is an absolute haven for whiskey lovers. The island boosts 8 classic whiskey distilleries all famed for their peaty, smoky blends but each having their own twist and trade secrets. Premier Experiences Northern Ireland offers a package which can be completely tailored to your needs. We can offer a private boat from various ports on the Northern Irish coast, a knowledgeable guide to accompany you on the boat trip, whiskey tasting and tutorials on the boat to set you up for your trip, tours of the main distilleries, dining, accommodation, and other activities offered on the island. Whether you want to spend a day on the island or fall in love with the place and want to spend a few days, Premier Experiences Northern Ireland have it covered. 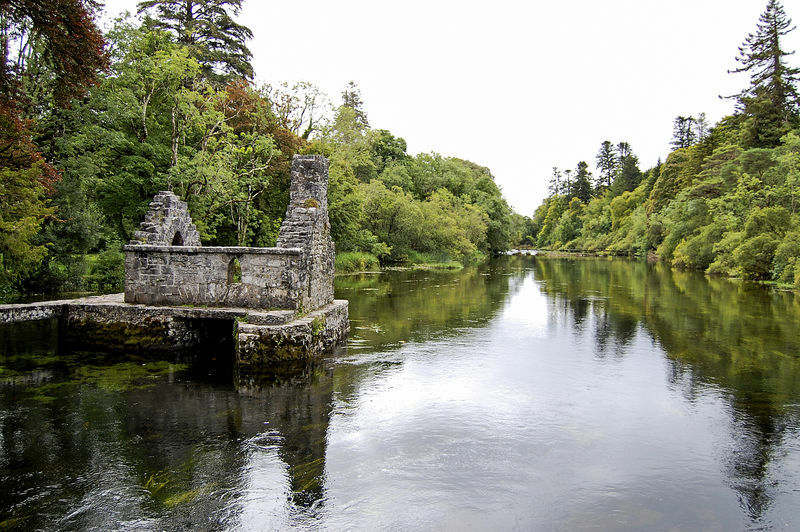 Spend the day on some of our renowned tranquil, secluded & private rivers, fishing for some of the best trout or salmon Ireland has to offer. You’ll be joined on this excursion by a professional guide who’ll share some of the best fishing secrets of Northern Ireland, ensure that you venture to the best spots and show you exactly why it is that Ireland’s fishing reputation is so high. We also arrange fishing over the whole of Ireland. Historian, author, world-famous realist painter and descendent of one the most distinguished families on the north coast. The youngest son of the thirteenth Earl and Countess of Antrim, Mr.McDonnell grew up in Glenarm Castle before leaving to study history at Eton and Oxford. Spend an evening in the home this fascinating storyteller, historian and artist, over dinner learn about the McQuillan and McDonnell history, Dunluce Castle and the story of his ancestor the powerful gaelic chieftain Sorley Boy MacDonnell. 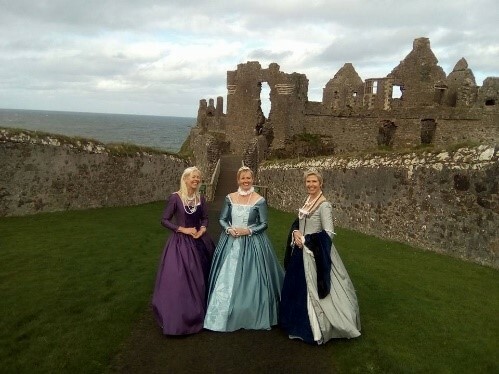 Take a step back in time to learn the tumultuous history of Dunluce Castle, dressing in fine authentic garments from the castle’s era with brilliant photo opportunities. 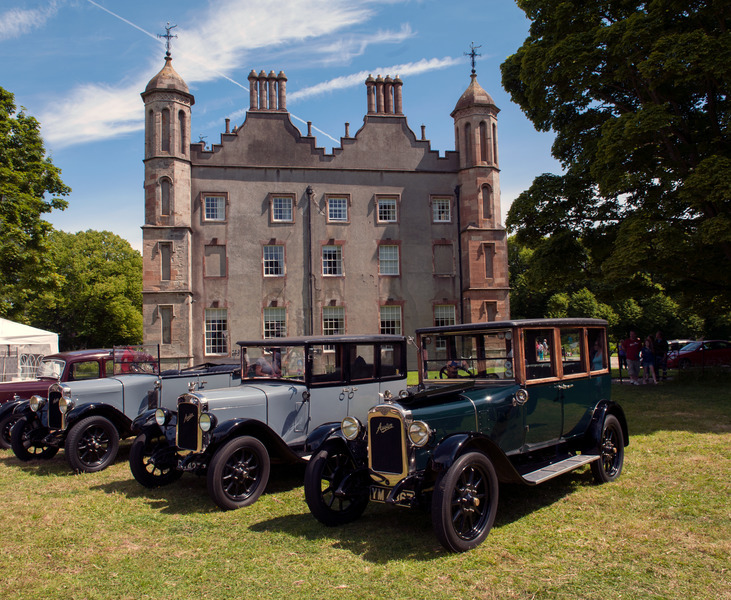 Escorted by a renowned local guide, you’ll be regaled by fascinating tales of the MacQuillans, MacDonnells and the castle’s unfortunate demise, the sunken treasure ship and more. Get dressed up and photographed in costumes of the period and become the gentry of the castle viewing your domain. Dunluce Castle was widely, recognised in the 17th century as one of the finest residences, regarding elegance grandeur and décor in the British Isles. 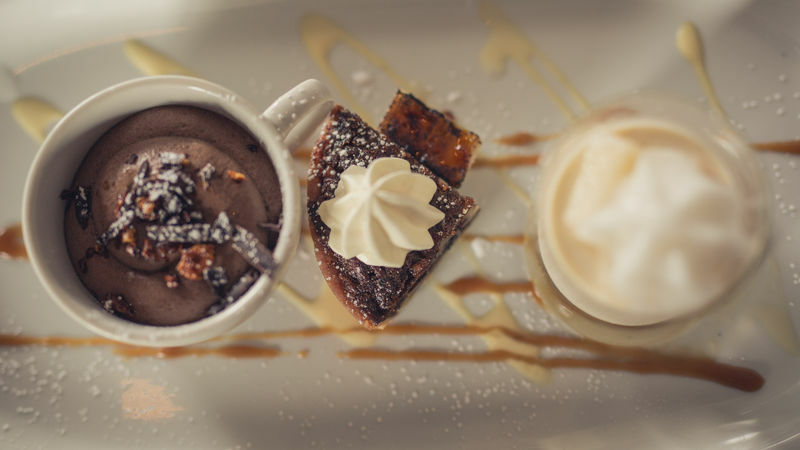 Finish off with a scrumptious afternoon tea in the Dunluce Cottage tearoom taking in the breath-taking views from Donegal to Scotland. 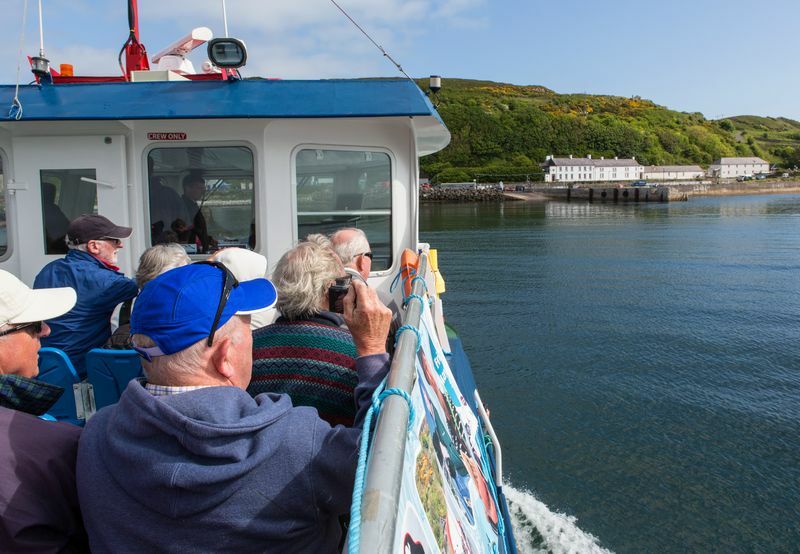 Hosting one of Ireland’s greatest bird sanctuaries, the chance to spot killer whales or dolphins off the coast, beautiful idyllic walking trails, shipwreck diving, iconic lighthouses, a vibrant history and colourful arts scene, Rathlin is a haven for those with all manner of interests. Enjoy a day in this unique location, meeting the locals in its quaint Irish village with a single pub and shop. With an excellent regular ferry service run by Rathlin Island Ferry Ltd, boats leave and return to the town of Ballycastle several times a day. Rathlin is a great place to spend a day or more with one of our local guides! Take the ferry or let us at Premier Experiencers Northern Ireland organise a private boat or boat tour if it is more convenient you. Arthur Ward is a renowned photographer and historian whose extensive knowledge of the Causeway Coast is rivalled by none. His intense passion for his homeland is vividly evident and he is a fountain of knowledge who can impart all of the folklore, history, culture and stories of this land. Over the course of your exploits, as you meander along rugged cliff faces, pass authentic, traditional Irish villages and encounter the world-famous Irish people. Art as he is affectionately known, will weave for you a fascinating and absorbing tapestry of the vibrant lands you pass through and truly bring Ireland to life. With Northern Ireland Premier Tours you will experience ‘A Song Of Ice and Fire’ from a unique and exclusive perspective. 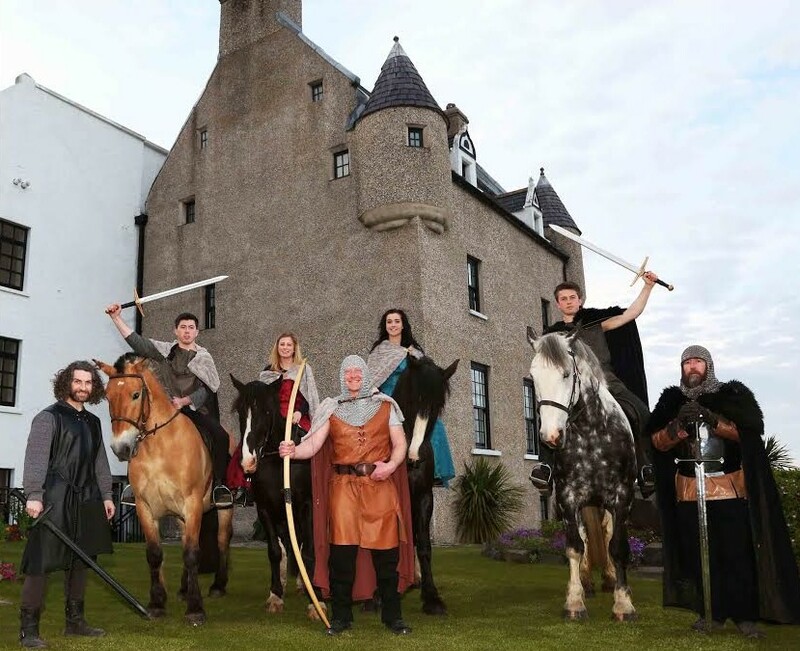 Whilst touring the North Coast locations you will live the tale as you try your hand at archery, firing arrows with traditional longbows, ride ‘The King’s Road’ on an ancient breed of horse and dress in costumes rich in detail, enjoy a medieval banquet and meet real life Direwolves. All creating memories and photo opportunities unlike anything you or your friends have seen before. Voted the Best Place to Live in Northern Ireland in 2016 by The Sunday Times it is no surprise that we consider Ballycastle one of the best places to eat here in the North as well. Irish Feast Food Tours location in Ballycastle, a rural and seaside location allows it to source the freshest seafood and meats available from local supplies. With delicacies such as dulse and yellow man for which the town is famed, and a host of locally brewed unique beers and ciders, the town is a must visit for foodies, gastronomes and all who would like to enjoy some delectable fare in a beautiful, seaside Irish town. The Irish are a passionate people whose culture and heritage are engrained into the very fabric of our existence. 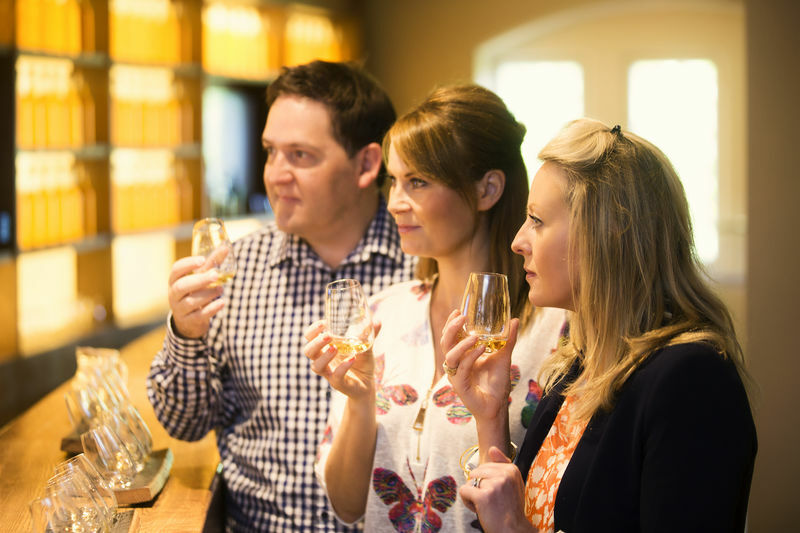 We at Premier Experiences Northern Ireland realise visitors desire to become immersed in this culture so as to deepen their connections with this beautiful land. 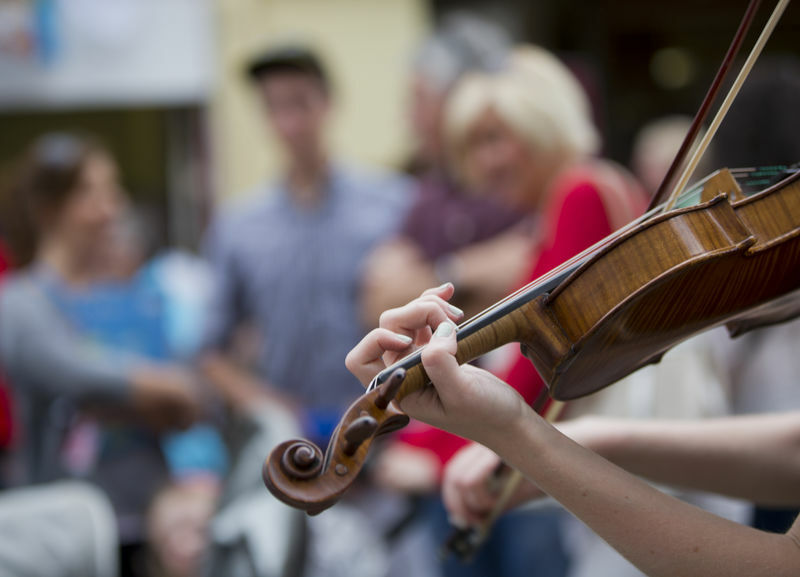 We have sourced and put together some well known and less well known cultural experiences to help you achieve this. Have a look to find out more about our music, instruments, language, dance, myths and legends, turf cutting and St Brigid’s cross making workshops which really are done to a very high standard and blended with hospitality and a traditional Irish welcome in the company of locals. https://nifoodtours.com/traditional-irish-bread-making/The Glenarm village experience gives visitors a real insight into local Irish life. 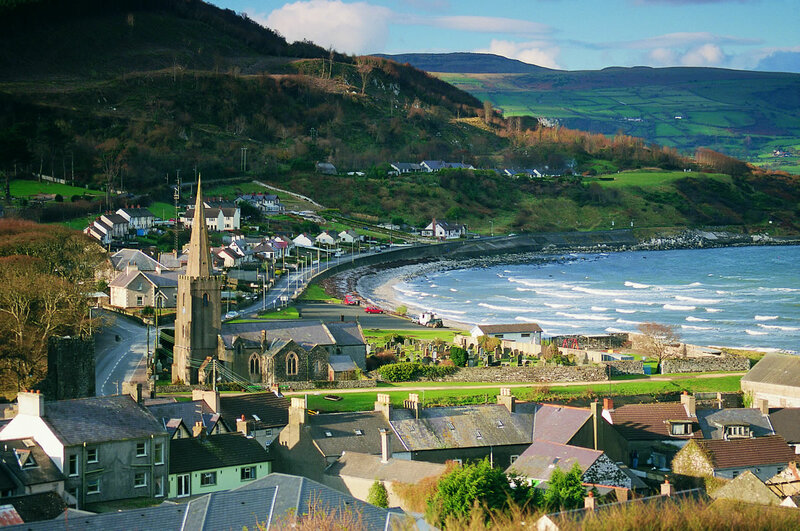 Take a guided tour of the picturesque coastal village of Glenarm, a beautiful location in the heart of the Glens of Antrim. Steeped in history and charm, Glenarm is a truly rustic and idyllic location. Our local guide, or the Right Hon. Hector McDonnell, will introduce you to village shop owners and locals while telling the history of this quaint village before heading to the famed Glenarm Castle estate for a stroll through the esteemed walled gardens and lunch at the castle’s tearoom. 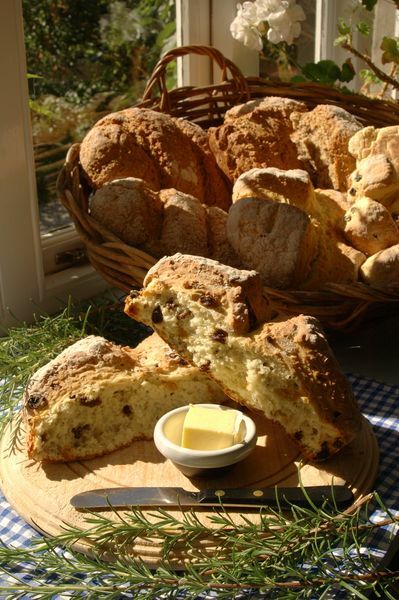 The Irish are renowned for our excellent selection of local breads such as soda, wheaten, slims, fruit scones, potato bread and fruit brack to name a few. Here you can enjoy Traditional Irish Bread-making in a Thatched Barn on the shores of beautiful Strangford Lough. This really is an excellent and unique way to spend the day where you can meet expert local bakers and learn new culinary skills to take back home. The experience of baking with our expert bakers in a traditional thatched barn is only topped by the tasting of your bread with a cup of tea and the stunning views of the lough.